Huge congratulations to our Primary school First Lego League team called ‘PMACS Space Cadets’ for their participation and achievement in being awarded the Robot Innovative Strategy trophy at the recent NOR Regional First Lego League (FLL) Tournament. 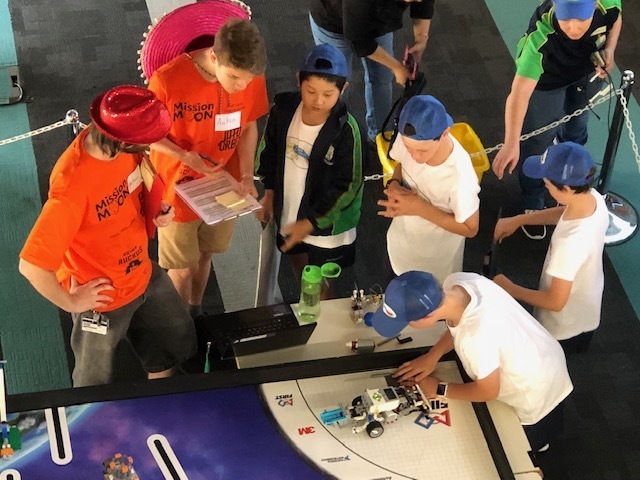 As a result, they were invited to compete in the State FLL tournament on Saturday 24th November at Curtin University, along with 40 other teams made up of students aged between 9 and 16. Chloe, Lucas, Warrick, Maddi, Ryan, Mitchell, Michael and Jacob from Year 5 and 6 built attachments and programmed their EV3 Lego Mindstorms robot to perform as many challenges as possible in 2 ½ minutes. Achieving 26th place out of 40 top teams in WA is a commendable achievement! 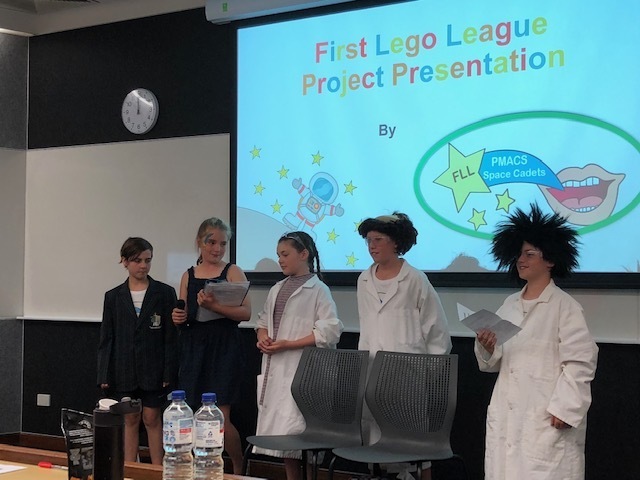 As part of the FLL challenge, they also had to research and develop an innovative solution relating to this year’s theme of the impact of long term space travel on the human body. Due to a lack of gravity, astronauts experience sinus congestion affecting their ability to taste and smell. The team solved the problem by developing 40 different flavours of Lip balm and natural chewing gum made from beeswax. Throughout the season, the team thoroughly enjoyed the process of communicating with NASA and other experts about their ideas. All students learnt the true value of being part of a team, having fun, learning through discovery and making an impact on the world.